AutoFinder.com has compiled a list of the top 10 selling cars in the U.S.. Have a look at these models when considering your next New Car or Truck. The new 2014 Honda Accord offers more style and performance then prior years with impressive safety ratings and reliability reports. With engine options that offer more power and performance and a list of standard features that will make you smile, the 2014 Accord is apopular choice for those who want a sporty sedan that isn’t boring. The new 2014 Honda Accord is now sportier then ever in both looks and when it comes to the handling of the car. The engine choices of the new Accord are liked by the test drivers as they have improved. The new choices have improved the ample power and overall good fuel economy. There is a 2.4-liter four-cylinder as one of the engine choices. It produces 185 horsepower onthe sport models. For those who want more power, there is also a 3.5-liter V6 that has 278 horsepower. The four-cylinder engine provides a nice fuel economy to save some money ongas station fill ups, always a plus when considering a vehicle. The 2014 Honda Accord had a reliability rating of 4 out of 5. Every car out there, regardless ofthe model, is going to have at least one thing that can improve, that is why there are always newer models. With the rating of reliability being a 4, this shows how great the car is. J.D.Power and Associates Vehicle Dependability Study Rating have provided the reliability. There have not been any safety recalls from NHTSA to date. The reliability is determined from crash testing and overall review and drive testing the new Accord. This new model of the Honda Accord is a safe car, especially with an overall safety rating of 8.7.All 5 tests passed as ‘good’. There was even a frontal crash, side crash, and rollover safetycheck, with all coming in with good ratings. What makes the 2014 Accord so safe is the brakeassist system, the ABS, and the Vehicle Stability Assist System. The reviewers have stated that the 2014 Accord has a clean and attractive interior. The interior was built with only quality materials, and you can tell from looking at it. The interior is standard along with dual-zone climate control, Bluetooth, four-speaker stereo, backup camera, an 8-inchdisplay screen, and other technical advantages. The 2014 Honda Accord is an overall quality car with a great price. There is enough room forfive people to fit in the car. The car handles well and is balanced efficiently. 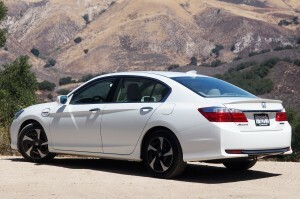 The test drivers have stated the Accord is well weighted and the steering is very precise. Accord has had success with this model and their changes have been well accepted. The 2014 Nissan Altima has an overall rating of 8.2. Between the fuel economy, safety, and host of standard features, this car has been proven to be a safe family car that is also fun to drive. With the older Altima’s, prior to the 2014 models, the fuel economy wasn’t their strong point.However, Nissan spent a lot of time finding the issue to their mileage problems and have sensemade the Altima a very efficient little car. The mileage for the city is 27 mpg. The highway is 38mpg. Combined, the average mpg is 25. There is a 4-cylinder and a v-6 version, and they bothcome with a single transmission. The interior and style of the 2014 Nissan Altima has been improved as well. Nissan claims thes tampings on the sheet metal of the Altima are complex and nothing like they have done before. Just like the Infiniti’s, the Nissan Altima now has similar style and detail. The interior is sharp looking and has straight lines that divide from the controls from driver to passenger. More spaceis now available with the new Altima. Altima had declined with the extra space for LCD screensand other advancements, so this has improved for the 2014 models. There is final changes throughout the car, interior and exterior, and they show. 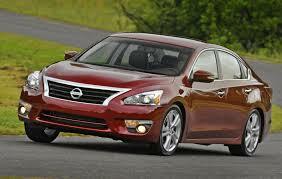 The 2014 models of the Nissan Altima have received extraordinary safety results. The National Highway Traffic Safety Administration gave Nissan 2014 5-star reviews on almost all of thetests. This car has received an award from the IIHS for its safety features. Aside from the crashtesting, and how this car had great passing results, some features that should be known aboutare: There are rear door child locks, 4-wheel ABS, child seat anchor, emergency brake, anti-theft system, tire pressure monitor, emergency interior trunk release, ventilated front disc, andsolid rear brakes. Not to mention, the stability and traction control is quite safe. Even though the 2014 Altima doesn’t seem any larger than the older model, it now has a 109.3inch wheelbase, which is almost the size of the Honda Accord’s. It is actually 1.4 inches widerthan the older Nissan Altima models. The front legroom has went up to 45.0 inches, and the rearlegroom has went up to 36.1 inches. These numbers are proof that this is a decent family car.This car can easily fit five passengers, even tall passengers because of its increased size. Thetrunk has 15.4 cubic feet, which means it is better than standard sizes of trunks on other cars. The 2014 Nissan Altima has great quality all around. The finish of the car is a great success,and the company takes pride that they have come far since the last set of models from prior years. The Honda Civic 2014 sedan and coupe models are number ten of the best selling vehicles of 2014 and with good reason. With gas prices higher than ever, the Honda Civic comes in to save the day with itsamazing gas mileage and hybrid style and the features on this little car are better than ever. With a regular unleaded inline 4-cylinder, 1.8-liter engine the 2014 Honda Civic offers a lot more bang for your buck. The front wheel drive train enables easier control, faster movement and safer turns and stops, making it not only a perfect car for just one individual, but a great family car as well. The 2014Honda Civic is rated as being one of the most performance-ready vehicles of the year, with a smooth drive and top of the line braking system. The 2014 Honda Civic exhibits a multitude of safety features, including the rear camera, which allows you to back out safer and see everything in a panorama view rather than the insignificant size that your rear view mirror portrays. It also has a variety of airbags put into place along the driver and passengerside areas for an even more secure feeling while driving and riding. With a five star overall safetyrating, the Honda Civic is a car that you can feel secure in. Competing even against its own kind as far as gas mileage is concerned; the 2014 Honda Civic reallyout does itself with approximately 32mpg in the city and 40mpg on the highway. This allows for fewer stops in between and more money in your pocket. The 2014 Honda Civic coupe and sedan have many similarities, but they also have a few differences.For example, the estimated starting price for the sedan averages at $18,390, while the coupe averagesout to be only $18,190. However, these prices are actually lower than the MSRP of $19,980. Getting a car under market for the starting price is always a good investment, and a way to save money so that you can cover the potential interest a car might have on it. Although $200 doesn’t make much of an alteration when looking at big numbers like this, it’s clear that the $200 extra on the sedan is made up in space in the car. The coupe is, as always, slightly smallerthan the sedan, making it cozy and snug, but maybe not so perfect for car seats or big families.Meanwhile, the sedan offers a little more room and 4-door capacity. Technology abounds in the 2014 Honda Civic and its interior is decked out with some of the best features available. From the large LED touch screen to the push button start to the intelligent multiinformation display, this car will make any techie smile with wonder. 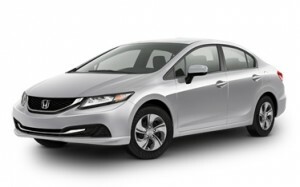 The 2014 Honda Civic offers great gas mileage, a low cost compared to the many expensive cars out today and a safety system set out strictly for the security of the drivers and riders. It’s all anyone could ask for in a car that can get them from here to there without a care. Coming in with an overall rating of 8.0 and a reliability score of 4.5 out of a 5, the 2014 Toyota Corolla has been a huge success. 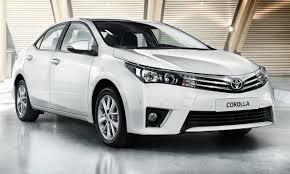 One of the biggest changes for the 2014 Corolla is the transmission, which has been greatly improved. A continuously variable transmission helps fuel economy, and this is what the 2014 Corolla has and offers that makes it a popular sedan.. The reliability score of this car is impressive with an overall 4.5 score. The Corolla scored such a high rating because of the overall performance of the car, relating to the brakes and handling of the car. The safety ratings are great for the new Corolla. The National Highway Traffic Safety Administration always does a series of different safety tests for new cars. The Corolla came outwith flying colors. The overall rating was a 5 out of a 5. With 5 stars being the highest rating possible, it leaves little question as to why it is a family favorite. What makes this car so safe is how the brakes function so well. Not all cars have the reputation of having efficient brakes. The car handles well, and that is crucial for different weather conditions. The new Corolla has a new and improved interior. The interior has changed quite a bit from the older models, and only has changed for the better. The dash, a focal point of any car, has taken a modern style and Toyota has added more room in the back seat, a telescopicsteering wheel, a four-speaker stereo, a USB port, Bluetooth and other standard equipment thatmakes this sedan stand out in a crowd. The new 2014 Toyota Corolla has comfortable and attractive seats with plenty of legroom in the rear This is because Toyota decided to add five more inches in the back of this new model. It’seasy to get in and out of the backseat, which is nice for kids and elderly individuals. The Corolla does have cloth seats that are standard, but optional leather, as well as heated front seats, are available. This car is efficient for a family car or just a car for anyone. It isn’t too plain and looks sharp. The price is great as it is on average anywhere from $16,981 – $21,232. The MPG is 27 in the cityand 36 on the highway, so there will be efficient savings on fuel. The 2014 Corolla’s a sedan that will not only get you and your family where you need to go, but it will also keep them safe as they get there, making it a popular choice that helped put it in to the top ten selling vehicles of 2014. 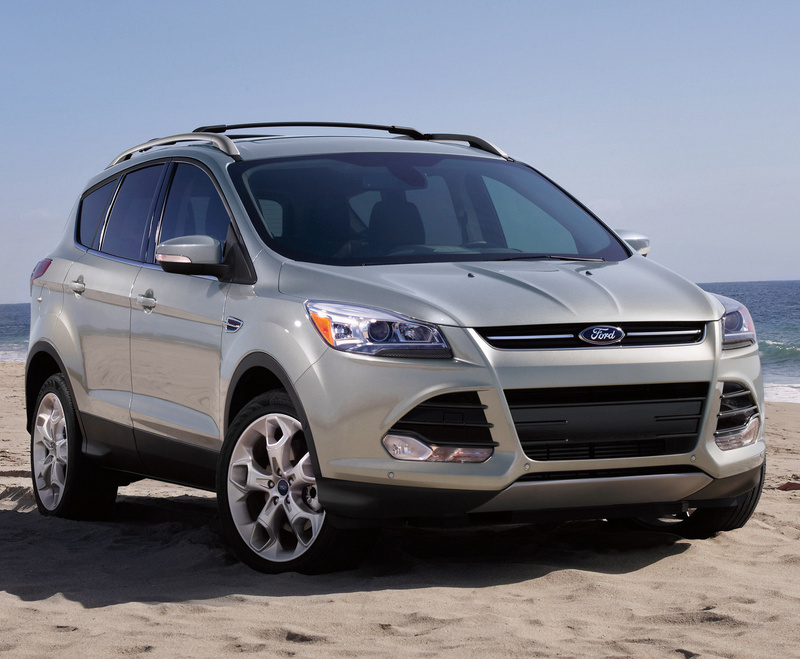 The 2014 Ford Escape is a compact SUV that combines the latest technology with a sporty looking exterior. It is the most popular small SUV on the market and the only SUV to make the top ten selling vehicles of 2014 list and it has been added with good reason. With its roomy interior, self-parallel parking option, technology that abounds and standard features that are often upgrades, the 2014 Ford Escape is a great choice for those who want a compact a SUV that isfun to drive at a great price. Choose Your EscapeThe 2014 Escape is offered in three trims, giving car buyers the options they want to choose from.The Escape S retails for $23,595 and includes all the base equipment that you could want in a small SUV. Cruise control, a rearview safety camera, a SYNC system, a six speaker stereo system with bluetooth capabilities and 17″ steel wheels are all standard equipment on the base package. The 2.5 liter 4cylinder engine offers drivers 168 horsepower and 22mpg city driving and 31mpg highway driving,making it a great little efficient SUV. The Escape SE retails for $26,445 and offers alloy wheels, satellite radio, heated seats, automatic headlights and a turbo charged 1.6 liter engine. The engine offered is an EcoBoost engine, which offersdrivers a more powerful engine in the small Escape package. The SE package offers more upgrade options as well, including a moon roof, an SD card reader, upgraded touch screens and App LinkSmartphone integration. These options allow owners to pick and choose what is important to them in avehicle, giving them the freedom of choice. The Escape SE isn’t different on mileage then the S package,offering 22mpg city driving and 31 mpg highway driving. The Titanium package, retailing for $29,995, offers everything you could want in a luxury SUV. Along with every option in the SE package, the Titanium upgrades include a keyless entry and start, a Sony Audio system with ten speakers and the option of upgrading to a 2.0 turbo charged engine. This package also features a self-parallel parking option to make everyone’s life just a bit easier as well as a panoramic moon roof that allows additional ventilation, light and style. The titanium, like the S and SEpackages gets decent fuel mileage — 22mpg in the city and 31mpg on the highway. The Ford Escape earned four out five stars for safety and includes side impact airbags in the front as well as side curtain airbags and drivers knee bags. The anti-lock braking system offers more control for thedriver while keeping the passengers safe and secure. The 2014 Ford Escape is an affordable option for those who are looking for a smaller SUV with all of theamenities. With plenty of options and add-ons to choose from, we’re sure that you will find the one thatis perfect for you. Superior performance and a roomy interior make the 2014 Ford Fusion a popular car in the mid sizesedan class. Because of its roomy interior, especially in the back seat, and high safety rating, the Fusionis favored by families and young drivers alike. 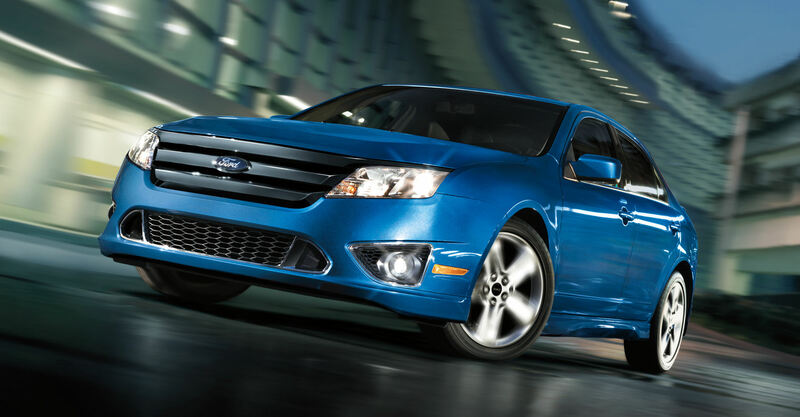 The 2014 Fusion is offered with four different 4-cylinder engines, including EcoBoost and Turbo-Charged options. Its standard equipment is a six speed automatic but six speed manuals are available for those who enjoy being more involved with their driving. The 2014 Fusion boasts eight air bags as well as knee airbags for the driver and passenger seats. There are also optional seat belts airbags in the rear for added safety should a crash occur. Drivers may choose to add on the forward collision warning as well as the lane keeping alert system to make an alreadysafer car even safer. Fuel efficiency plays a large part in choosing the right car and the Fusion comes through with its great mileage . 37mpg on the highway and 25mpg in the city means less stops at the pump and moremoney in your bank account. There are many options to make your 2014 Fusion feel as if it was custom built for you. The Fusion comes standard with a voice activated Sync system as well as a MyKey system, perfect for families with teen drivers. Drivers may choose to add on a variety of upgrades include a sporty moon roof, pushbutton start, twelve speaker audio system, navigation system and rain sensing wipers. The 2014 Fusion is available in S, SE and Titanium trims. The Fusion S is the standard package while eachpackage after that offers more features, options and styles available. The Titanium trim offers all-wheeldrive while the S and SE are front wheel drive only. The price difference isn’t that much with the FusionS starting at $21,950 and the Titanium, the luxury trim package, retailing for $30,600 with the SE in the middle. While a few thousand dollars seems like a large difference, in the grand scheme of things it boils down to what features matter to you. If you want a completely decked out nice mid-size sedan then theFusion Titanium is priced right. For those who don’t mind just having the basics, the S and even the SE are priced just right. The 2014 Fusion is a comfortable ride with plenty of room for a family of five. It has a sporty look and feel, making it fun to drive, while offering plenty of features and upgrades to make any techie happy. 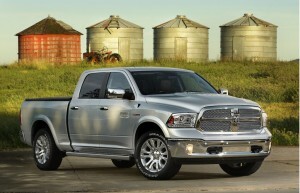 Dodge really went all out with the 2014 Ram trucks, offering buyerd so many choices that it’s hard to know where to start. Motor Trend even named the 2014 Dodge Ram truck of the year and that is high praise as it means that the Ram had to have a complete overall to be considered “new” and “noteworthy”. The interior has been thoughtfully laidout and the new EcoDiesel option gives superior fuel mileage without losing the power and performance one has come to expect from the Ram trucks. With seven different trims available as well as standard, quad and crew cab options for each trim, the choices seemendless but one thing that they all have in common — Ram builds great trucks that outperform, they offer best in class mileage and they do it at really great prices. The 2014 Ram’s run from $24, 810 for the Tradesman 1500 Ram with a 3.6 V6 engine all the way up to $34,855 for the Sport model that features a 5.7 V8 HEMI engine. Each truck has the standard cab, crew cab or quad cab, allowing you to choose the interior space you want and need. Every model features an advanced airbag system,Anti-Lock 4-wheel disc brakes and electronic stability control system. Rear view cameras can be added on for additional security. Each model comes with all standard popular equipment including UConnect audio systems and speed control. For a more luxurious truck, options and packages can be added on. Purchasers can choose from upgraded seats (standard iscloth seats) upgraded audio systems, keyless entry, heated seats and steering wheels, security systems and foldingseats in crew and quad cab models. 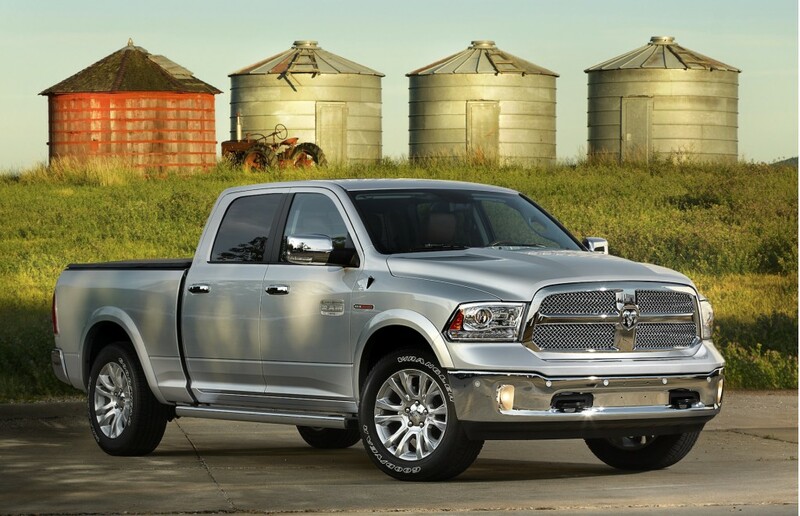 The 2014 Ram is best in its class as far as mileage goes. Averaging 25mpg on the highway and 17mpg in the city onregular fuel, the Ram may not be the most fuel efficient vehicle available today but it is the most fuel efficient mid sizetruck truck available, making it a popular choice. For even better fuel efficiently, the EcoDiesel is an option and is classified as the best fuel economy truck available with 28mpg with highway driving. Because there are so many models to choose from and options to consider, the Ram can truly be like a custom truck for many. And the sporty yet rugged appearance that is classic Dodge makes it even better, giving the performance of a rugged truck that is also fun to drive. If you want a truck that has everything you are looking for then you need to look no furtherthen the new 2014 F-150. The F-150 is the number one selling vehicle of 2014 and it’s amazingfuel efficiency EcoBoost options, horsepower and torque configurations, rugged style and outfitted interior have made it the most popular choice for new truck buyers. The options for the Ford F-150 vary greatly with the base model retailing for $25,025 while the top of the line Limited Edition tops out at $50,985. Never fear, there are plenty of options between the two price points, allowing you to choose the Ford that is right for you and yourbudget. 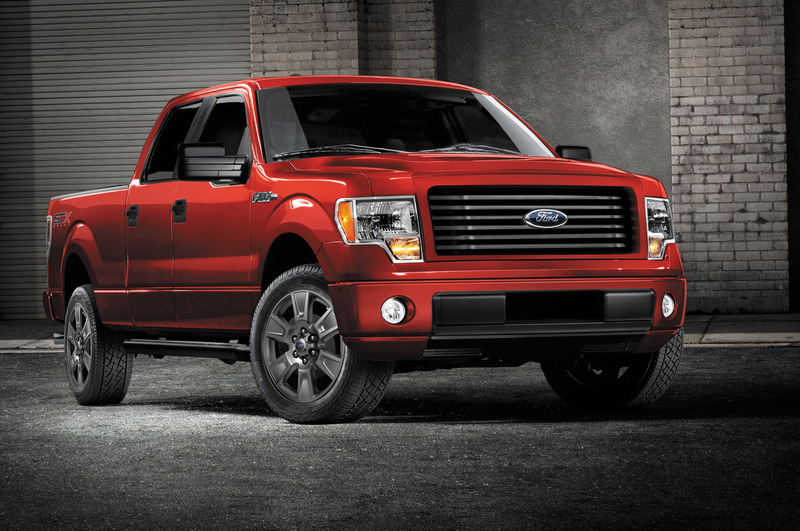 Standard on all F-150 models are safety features that stand out from the crowd. Each model features a safety cage to protect occupants in the event of a crash or rollover as well as numerous front and side air bags. Three point harnesses and four wheel disc anti-skid brakesare also included as standard equipment, making the F-150 a very safe truck on the road. The easy to read displays and comfortable layout give the Ford F-150 a leg up as far as interior styling goes. Drivers can choose from vinyl, cloth or leather seats and the roomy interior and quiet cab make drivers and passengers alike feel as if they are in a world of their own. The base model doesn’t have a lot of bells and whistles but the add on options are numerous and for justa bit more, purchasers can upgrade to a more enhanced model that features all of the interior conveniences they desire. As with any truck, it’s what is under the hood that really matters to the driver and the F-150 has a bit of it all. The choices for the truck include Ford’s 3.5 L EcoBoost engine, available on allmodels except the STX, as well as the 3.7L V6, 5.0L V8 and 6.2 L V8, giving the options you need for power, performance and hauling power. The transmission torques range from278 lb/ft to434 lb/ft ensuring that there is a truck model that will fit your every whim. Whether you want a rugged truck for just driving around town, a truck for towing your boat or trailer or a truck that speaks of just how much of an outdoorsy man you are, the Ford F-150series has the model for you. From the base model to the super luxury Limited Edition, eachmodel has its own special features but they all have one thing in common — they were built Ford tough and they have the performance to back that claim. Chevrolet knows that full size truck owners want a truck that is rugged, powerful and big and the new Silverado takes those qualities and makes them shine. With sharper edges, straighterlines, taller hoods, new bumpers and added bed rails, the new Silverado looks quite different than the 2013 models and performs different as well. Silverado changed the extended cab version from previous years and it is now called a doublecab. This isn’t merely a change in name though. They moved the rear hinges to the front,allowing the rear doors to now open without the front doors being opened, an annoying quirk that 2014 owners will appreciate. The second big change for the 2014 Silverado is in the engines. There are three updated engines, which GM has dubbed the Ecotec3 family, made specifically for the Silverado. The base engine is a 4.3 liter with 285 horsepower and 305 pound per foot torque, making itperfect for those who need to do some light towing. As an upgradeable option, the 5.3 V8 orthe 6.2 V8 both offer massive power and strength for not only driving but for towing as well. All models feature a six speed automatic transmission and drivers can choose from rear wheeldrive or four wheel drive configurations. Fuel economy is pretty good for a truck this size, offering an average of 18 mpg in the city and23 mpg on the highway. Like any good vehicle maker, there are plenty of upgrades and options to choose from. The base model starts at just $25,575, a great price for a mid size pickup truck and goes up from there depending on features, engines and options. And the options are numerous. From heated leather seats to extreme audio systems, the Silverado has a little something foreveryone. The safety options are paramount as well and Chevrolet didn’t hold back here. The newest technology has been brought to center stage for drivers and include the new forward collision system, a lane monitoring system, back-up camera and even a rear cross traffic alert that not only sets an alarm off in the truck but sets your seat vibrating too. These safetyf eatures went a long ways in helping the 2014 Silverado receive a five out of five star safety rating. 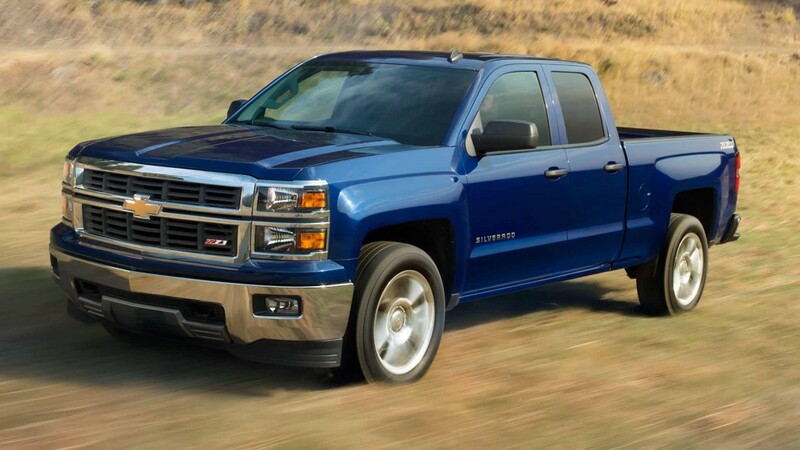 The 2014 Chevrolet Silverado ranked number two on the top ten selling vehicles of the year andwith its redesign of the exterior and interior looks, as well as the upgraded engines, it’s with good reason. Truck drivers know what they want in a truck and Chevrolet has delivered it to them in the all new Silverado.